As we approach week nine after the BYE, the New York Giants are in a peculiar situation. 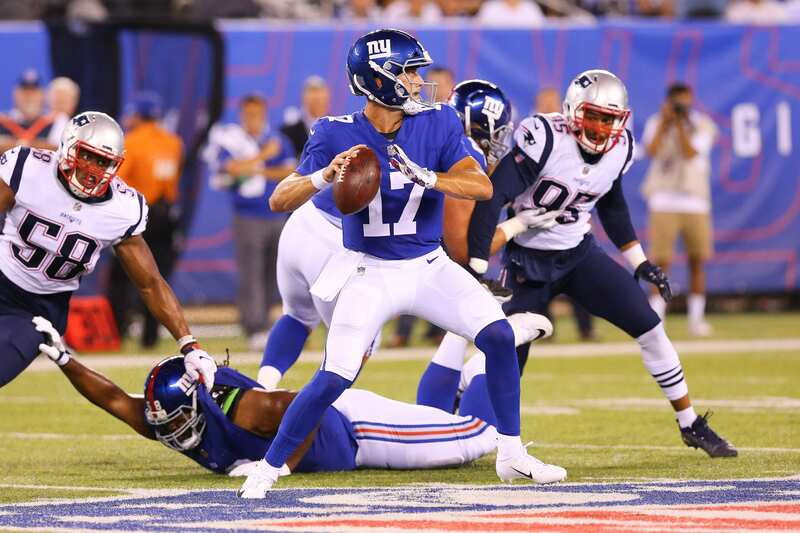 They can either continue to start Eli Manning and hope for the best from the veteran signal caller, or they can give rookie QB Kyle Lauletta a chance to display his skill set. This week I heard something interesting. We all know how great Patrick Mahomes has been so far in 2018, but according to his father, the passer wouldn’t be anywhere near his current self if he didn’t have last year to develop. I can imagine that head coach Pat Shurmur is worried about Lauletta being rushed into things, especially considering he’s a fourth-round pick. Using this time to refine his weaknesses and allowing him to sit behind Manning to learn the intangibles of being a Super Bowl winning quarterback is essential. Starting the rookie now would be a mistake, no matter how much we want to see Manning benched for eternity. Who will start for the New York Giants next Monday? Shurmur stated on Tuesday that Manning would remained the starter following the BYE. The two have had several discussions about the team and how the veteran needs to perform better moving forward. I would anticipate that the Giants will activate Lauletta by week 12 and look to play him at the end of the games if the score allows it. Shurmur ensured that the Lauletta would not be suspended by the team for his traffic violation last week. The youngster made a mistake and has clearly learned his lesson with a lot at stake. The consequences will be handled internally.